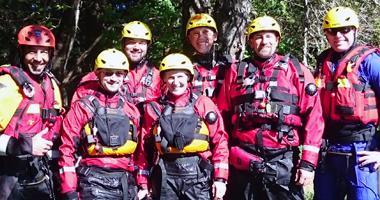 CRSAR has a dedicated group of members that have pursued specialized training in rope rescue techniques. 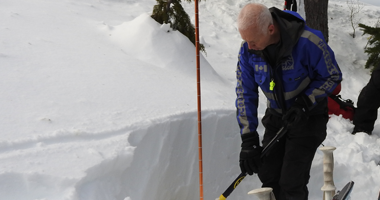 In addition to the regular training that all CRSAR members participate in, rope rescue team members are required to spend additional time training for rope rescues. 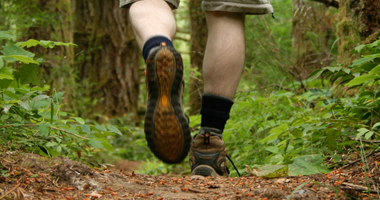 A minimum training requirement must be maintained to hold a valid certification. Being a rope rescue team member is a serious commitment. 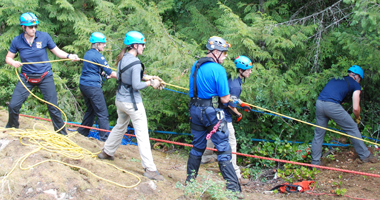 All rope rescue team members attend an extensive multi-day Justice Institute of BC training course followed by 6 months of practice. If sufficient time has been spent practicing, they can apply for an examination. If they successfully complete the examination (20+ hours over 3 days), they are certified as rope rescue team members (RRTM). 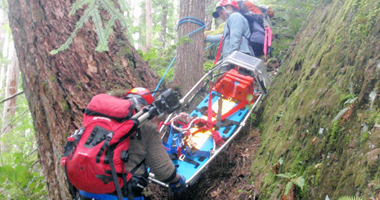 RRTMs are trained in slope rescues, high angle rescues, stretcher rigging, subject packaging, and a multitude of command and safety protocols. 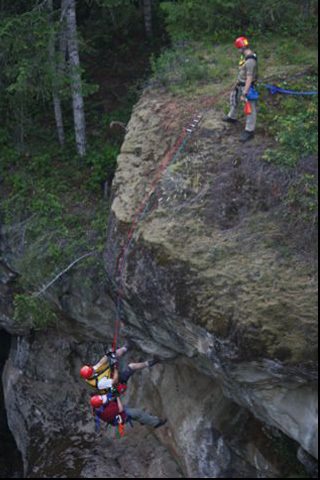 They may be asked to rappel down a cliff, ascend back up, cross a high line, control a stretcher as they are lowered over an edge, haul a subject and rescuer back to the top of a bluff using a simple pulley system and some muscle, operate a brake rack, rig a pre-tensioned back-tie, extend an anchor, the list goes on and on. 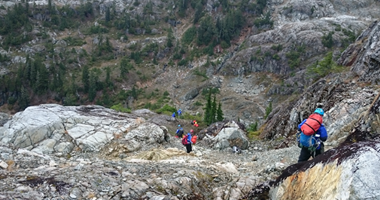 RRTMs are under the direction of a Rope Rescue Team Leader (RRTL). RRTLs have typically been RRTMs for several years. They have attended an additional multi-day training course, practiced extensively, and have been examined over multiple days before being certified as a leader. 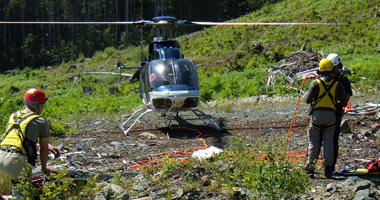 CRSAR uses equipment that is designed for rope rescues and is independently certified to ensure safety. We have a variety of specialized rope rescue equipment and constantly train to keep up with the latest standards and technology. 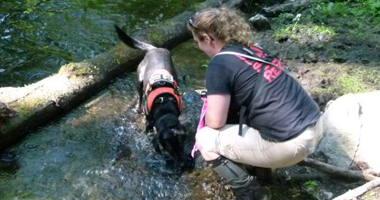 In any rescue, the safety of subjects, bystanders, and rescuers is of the utmost priority.